account industry and provide much needed consumer protections is now headed to Gov. Dannel P. Malloy for his signature. Lesser led the House recently in passing House Bill 7161, An Act Requiring Administrators of Certain Retirement Plans to Disclose Conflicts of Interest, and the Senate on Tuesday unanimously approved the legislation. The bill is supported by labor and consumer groups. “With the help of the New York Times we uncovered widespread instances of Connecticut teachers being charged extraordinarily high fees for investments made through 403(b) plans, a type of voluntary tax advantaged defined contribution retirement plan,” Lesser said. 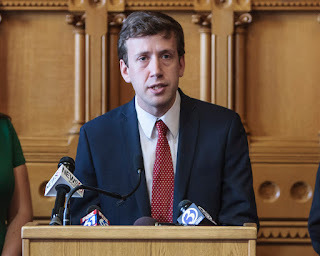 “This bill grants teachers the same fee and conflict of interest disclosures available to private sector workers having a 401(k) and allows the comptroller to make lower cost plans available directly to local boards of education,” Lesser said. “It is my hope that these reforms, initiated in Connecticut, will spark nationwide reform and help teachers and other public workers earn a safe and secure retirement,” Lesser said.